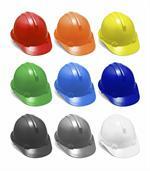 MEETS ANSI Z89.1 1997 Type 2 Class E With a tough polyethylene shell, these hard hats are strong, lightweight, and durable. 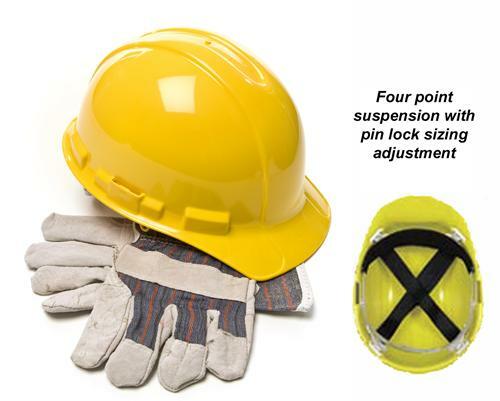 Each hard hat features a four-point adjustable nylon suspension for shock absorbing protection. Reinforced ribs on top provide additional impact protection. Each hard hat has slotted sides to accommodate accessories such as face shields or ear muffs, and is available in white, yellow, orange, and call for other colors.